This route passes through the only mainland section of Acadia National Park and beautiful Schoodic Point. The cold North Atlantic waters of the downeast coast served historically as fishing grounds for Native cultures and the earliest Europeans. To this day, the harbors and coves are filled with lobster boats and wooden piers that come alive with the daily catch. The shoreline is marked by lighthouses, wildflowers, osprey, eagles and views of Cadillac Mountain and Mount Desert Island. Blueberry barrens turn the surrounding hills violet and green in late summer and brilliant scarlet in the autumn. Seaside villages and working harbors from Sullivan to Prospect Harbor reveal well-preserved examples of simple New England architecture from the 18th and 19th centuries. The area was originally called Waukeag by the native Penobscot and Maliseet tribes. Waukeag referred to a natural glacial formation called a “kame” which can resemble a horseback. A kame is a hill or mound of gravel and sand formed by streams on the bottom of slow moving glaciers. When the glaciers melted, they left these deposits throughout Maine. Waukeag meant “a horseback in a place where the tide runs out strong” and referred to the kame in the great tidal stream that fills Sullivan Harbor, Sullivan Falls north through Taunton Bay, and Hog Bay in Franklin. 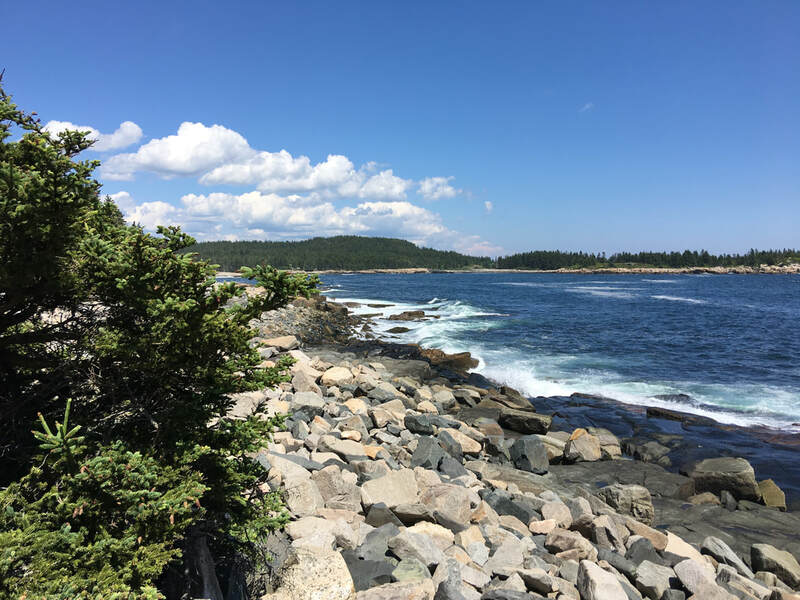 ​Sullivan, Maine, and its east and west sections, are located about 13 miles (21 km) south-southeast of Ellsworth along the Coastal US Route One corridor and 13 miles (21 km) from the entrance to the Schoodic Peninsula section of Acadia National Park. View the following map to see how to get there. Note how close Bar Harbor on Mount Desert Island is at the lower left. However, roadwise or drive time is quite different.